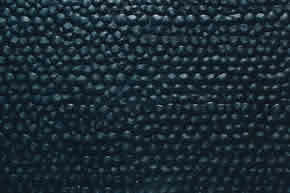 Heavy duty recycled rubber flooring. The flooring is reversible with one ribbed side and the reverse bobbled. GymRatZ preference is to have the bobbled side facing upwards. These heavy duty gym mats are 6' by 4' by 10mm thick. Each mat weighs approximately 30 Kg. They are ideal for flooring a gym area or garage floor due to their high density and impact resistant construction. The sheer weight of these mats mean they will not move under foot. NOTE - These are solid rubber and NOT for use as "exercise mats" ! As this flooring is made from recycled rubber it can mean that edges are not always perfect once cut. Subsequently, GymRatZ suggest this flooring for a single station or small gym area's. If you're looking to lay flooring over a large surface area we suggest using virgin rubber mats, such as our Fitness First Flooring or Weighlifter Flooring.